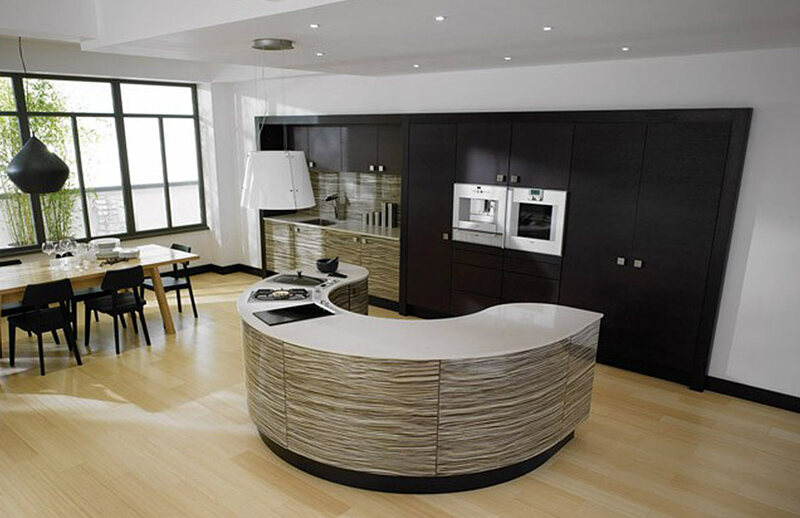 Modern fitted kitchens are today much more than functional rooms. They are living spaces where you not only cook but eat and relax. They represent a lifestyle. 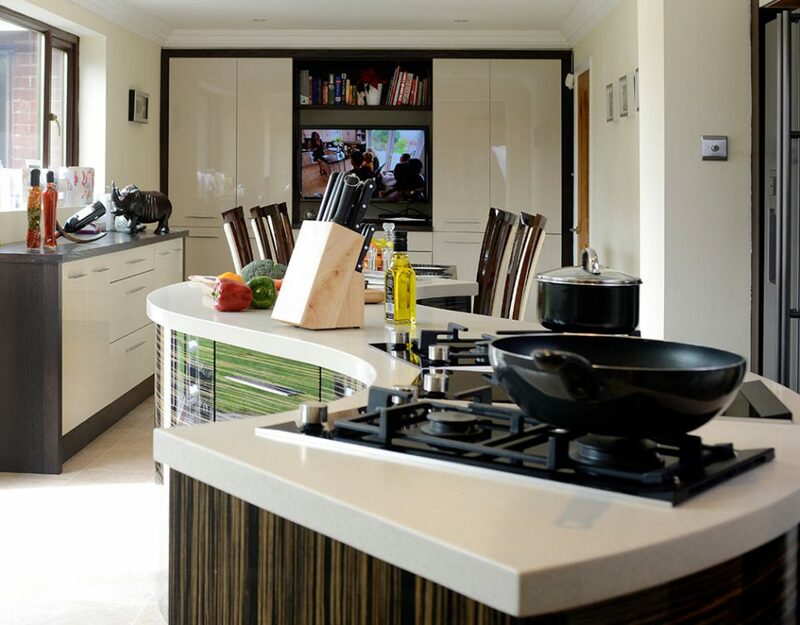 Our kitchen designers will help you decide that which suits you and your family. 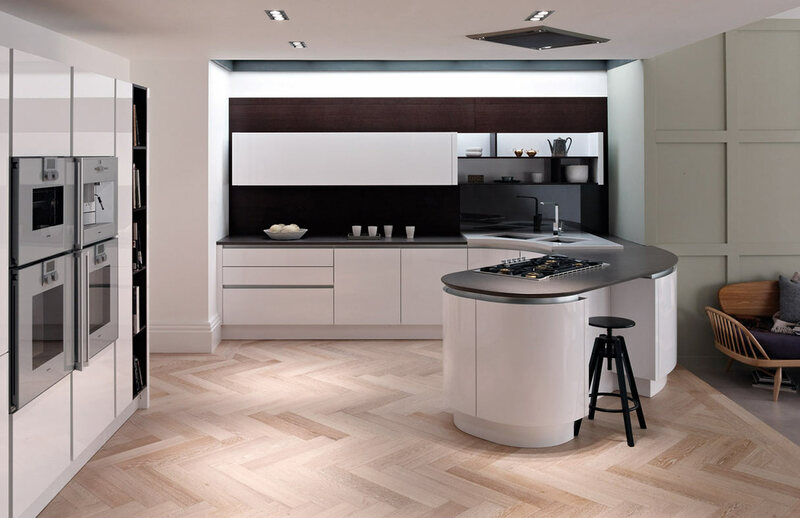 The main difference between a contemporary and a modern kitchen is blurred – the two get mixed up by many. 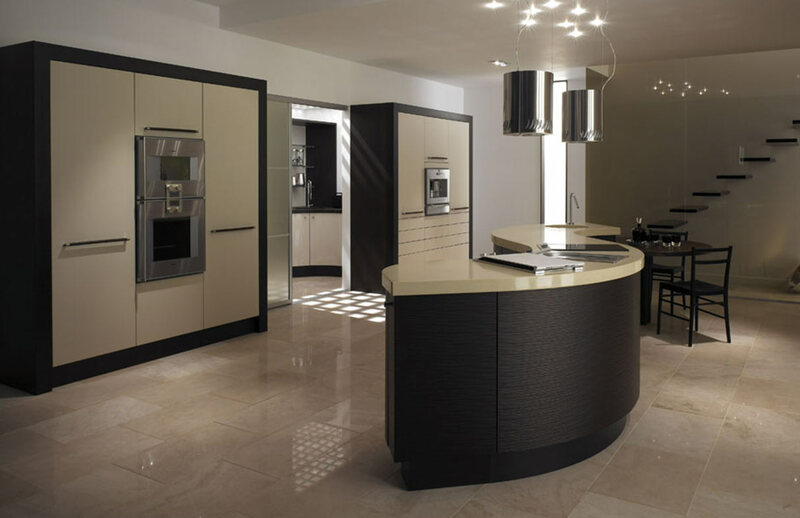 Generally speaking a contemporary look is achieved with a fusion of natural woods and natural materials (such as granite and stone) with clean slab doors and minimalistic or no patterning on the doors. 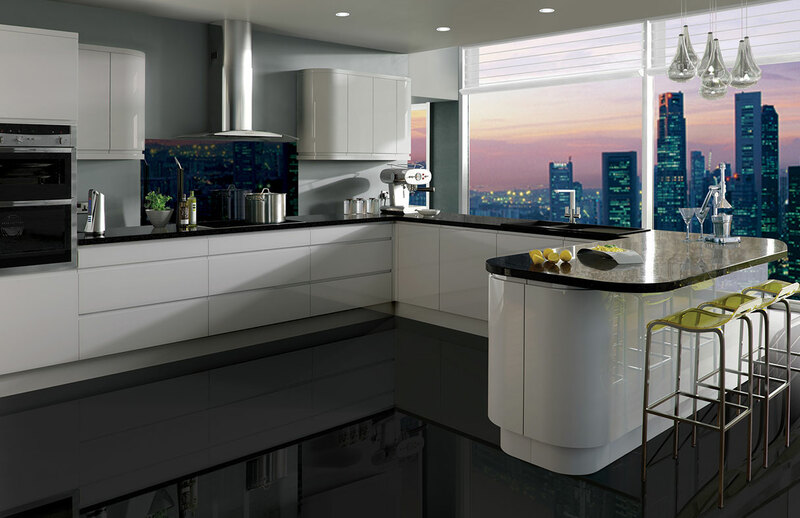 These can be high gloss, plain colours or high-class with wood effects imprinted on the doors themselves. 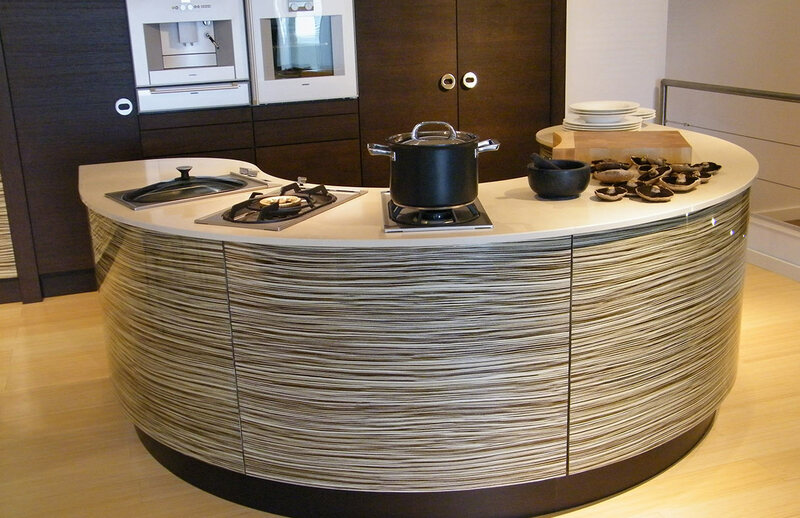 Curved doors are also a feature of contemporary kitchens. 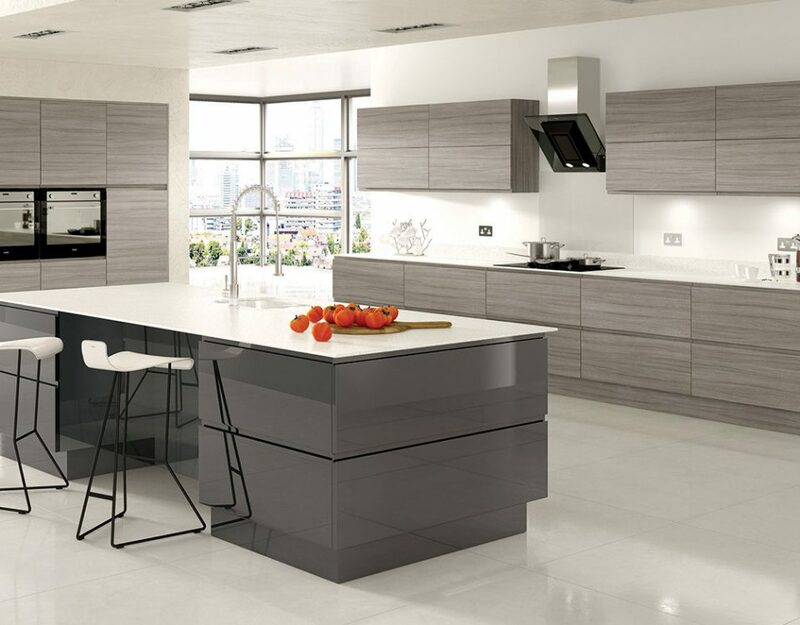 Any kitchen that has clean, simple lines and a minimalist feel can be defined as modern and the design possibilities endless. 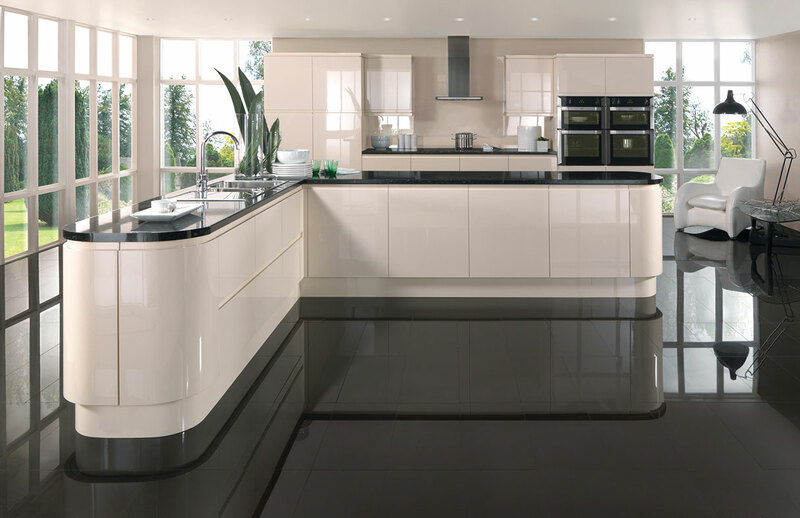 Options for the ultra modern type include high gloss furniture in bright, radiant colours and handle-less doors. 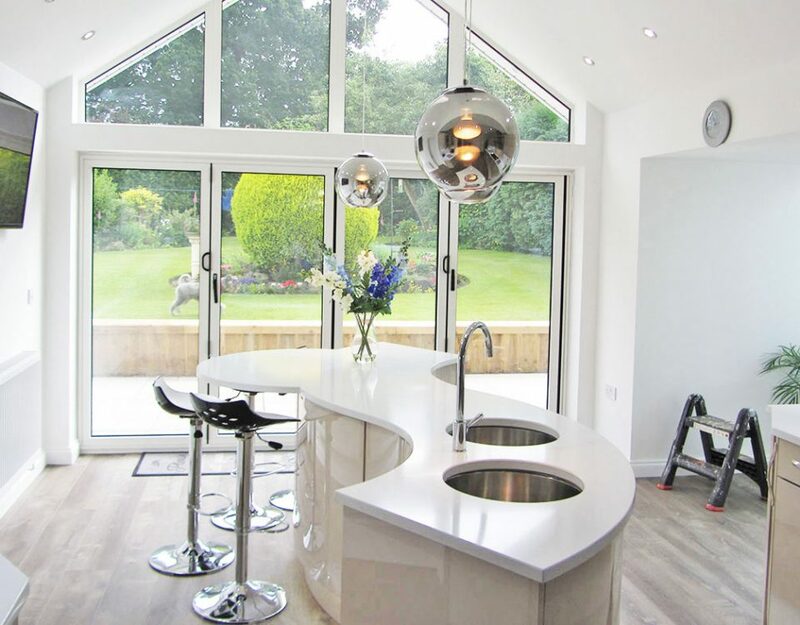 Luxury kitchens can also be modern, as it’s possible to include features such as high-spec lighting and top-of-the-range appliances in a minimalist design. 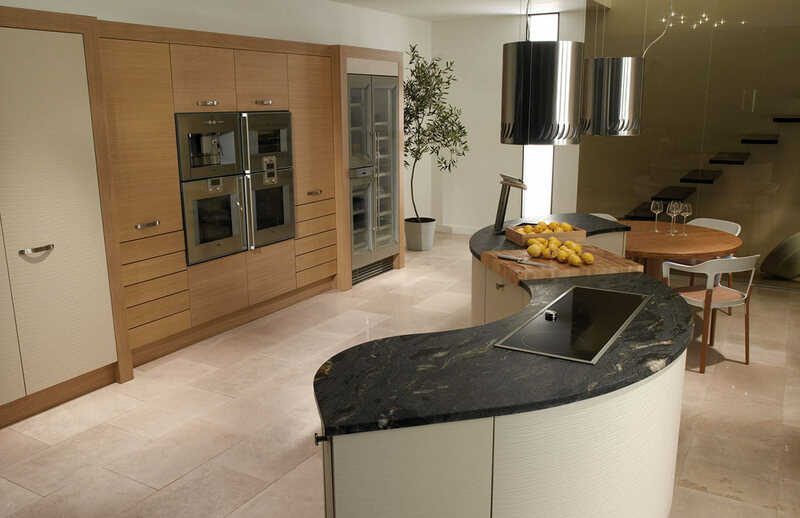 Many of our customers ask about Shaker kitchens and fresco kitchens but are confused as to what exactly each one is. Fresco has clean lines with an absolute minimalistic feel and look. 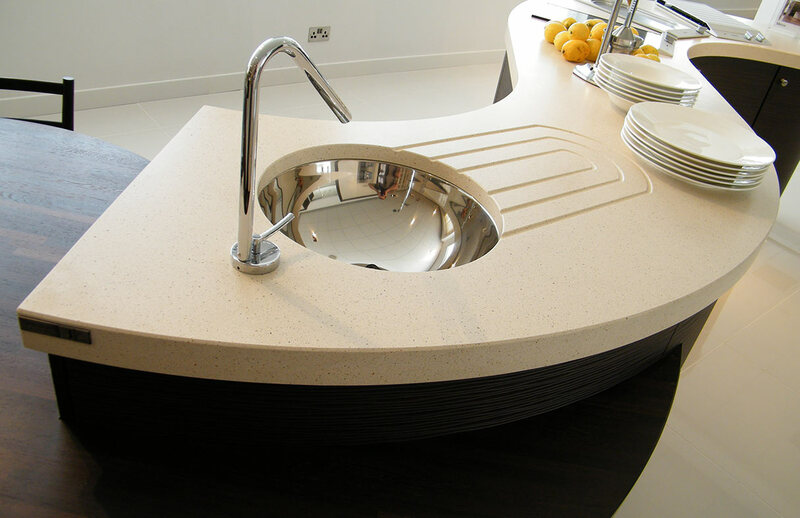 Curved units can also be incorporated into this design. 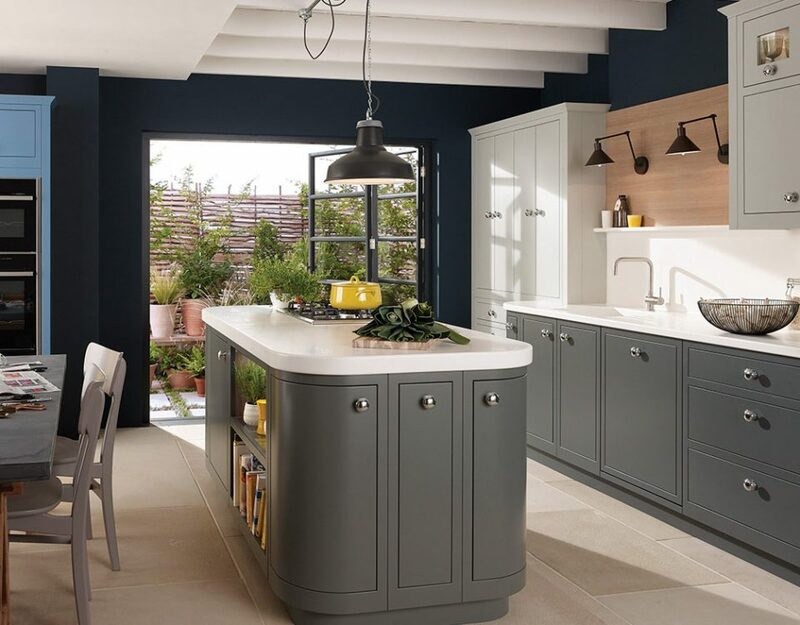 A Shaker kitchen can be both traditional or modern. 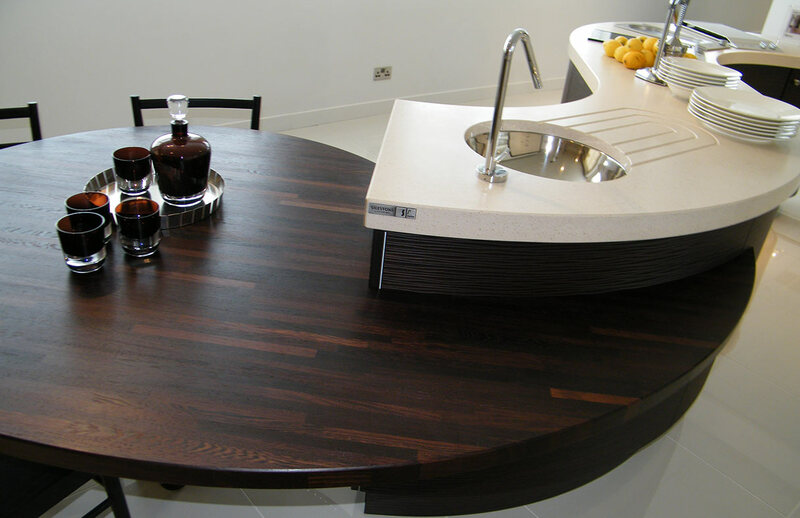 The difference is the look that can be created by choosing handles, sinks, tops, appliances and worktops.